Our Houttuin™ and Warren® brands have been industry standards for over 80 years. 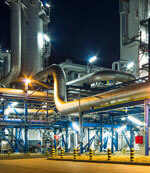 Two-screw pumps are delivering results in even the toughest of conditions all over the world. And no one knows this technology like CIRCOR. High performance meets high reliability. Because they&apos;re designed to move fluid at a consistent rate, regardless of pressure, two-screw pumps deliver results where centrifugal pumps are unable to and are able to actually increase efficiency as viscosity rises. But two-screw pumps don&apos;t just offer performance, since they are designed to eliminate metal-on-metal contact which means a longer life, improved reliability and less downtime. And with two-screw pumps&apos; ability to handle multiple liquids at multiple viscosity rates, they can be used for a wide range of applications. CIRCOR&apos;s Two-Screw Smart Technology Package automatically adjusts flow in real time to operating conditions protecting the pump from cavitating, while maintaining the highest capacity possible. MORE SIZES. MORE MODELS. MORE SOLUTIONS. No matter the industry or the application, our extensive line of pumps has you covered. Built on solid construction and innovative design, you can count on our wide range of pumps to deliver unbeatable efficiency and reliability to any application. the Houttuin 216 is a versatile self-priming two-screw pump you can rely on. To get product details, case studies and more information on the CIRCOR MR Series pump and Multiphase technology, click the button below. WHY MORE AND MORE COMPANIES ARE SWITCHING TO TWO-SCREW PUMPS. 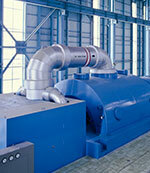 Two-screw pumps are outperforming expectations all over the world. With their ability to deliver application-specific performance in the toughest of environments, two-screw pumps are proving themselves the world over. And with over 80 years of experience in high pressure and low-pressure pumps, our brands offer time-tested expertise and reliability you won&apos;t find anywhere else. With efficient, reliable performance and an ability to operate in even the toughest environments, it&apos;s no wonder two-screw pumps proving to be the perfect solution for a number of applications in the oil and gas industry. We know the challenges onshore and offshore facilities encounter every day that&apos;s why we offer pumps that deliver safety, uptime and efficiency. Transporting crude oil from upstream production facilities to storage operations is a never-ending task and one that requires the always-on reliability of our fluid-handling solutions. Tight timelines, high viscosity fluids and a varied inventory create unique pressures on both you and your operation. At CIRCOR, we understand this and offer reliable products and expertise that take fluid handling off your list of things to worry about. Delivering an operating profit when you&apos;re dealing with increased regulations, complex processes and rising power costs can be a challenge and the last thing you want to worry about is your fluid handling system. At CIRCOR, our time-tested solutions allow you to focus on running your operation. Don&apos;t settle for anything less than best in class when it comes to pumps for your vessels. And CIRCOR offers technologies, products and systems from some of the most trusted brands in the business and supported by a team of experts who specialize in helping companies like yours find the best solution for your specific needs. Even though, two-screw pumps may cost more than centrifugal pump options, their ability to handle variations in flow as well as a wide range of temperature, pressure and viscosity are making them an indispensable asset in a number of industries. Our pumps aren&apos;t the only things designed to perform. Our support staff and technical expertise are some of the best in the business. Whether it&apos;s getting you precise answers to your technical questions right away or getting you just the right products to solve your specific challenges, we have the resources and the expertise to get you the solutions you need faster. Fill out the form to the right to get in touch with a CIRCOR expert and discover the perfect pump for your specific application. To get product details, case studies and more information on the CIRCOR MR Series Multiphase pump and Multiphase technology, click the button below. 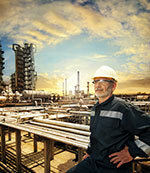 How an oil refinery picked up rail unloading speeds and cut costs with one simple solution. How CIRCOR helped a major Middle Eastern oil company overcome unique and difficult conditions to set up a successful refinery. When an oil company&apos;s isolated unmanned offshore wellhead platform needed a boost in production, they found a dependable, effective solution. Moving heavy, sand-laden oil through pipelines in Venezuela is no easy task but our twin-screw pumps got things flowing. CIRCOR's two-screw pumps redefine what's possible in the world of tank farm and terminal operations. Click the video below to see how our pumps can reduce transfer time while also cutting energy costs. As the below video illustrates, our two-screw pumps with patented Smart Controls can transform your railcar terminal operation by efficiently and safely unloading your tanks in a fraction of the time it would take using other methods. Information for Houttuin 136 Series pumps. Information for Houttuin 211 Series pumps. Information for Warren FSXA Series pumps. Information for Warren GTS Series pumps. Information for Warren Jaguar Series pumps. If you want to learn more and stay up-to-date on the solutions CIRCOR offers, enter your email and industry to get connected and receive industry-relevant case studies, product details and insights. Sign up for our pump selector program today! This program provides you real-world sizing and selecting support for a variety of the most popular pumps from across CIRCOR’s product lines and using the project saving feature allows direct connection to the CIRCOR sales and engineering offices.